“In a time of austerity, any additional funding for social care is to be welcomed and I am pleased to see a commitment of extra investment from Welsh Government that will help to ensure the needs of former WILG recipients are fully met. 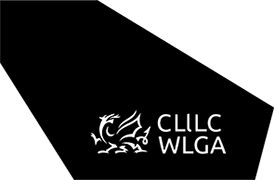 “Local authorities will continue to work with Welsh Government to address any concerns about the delivery of the WILG, which has been undertaken by councils in line with Welsh Government guidance. “Local authorities offer a range of key services which help support disabled people live independent lives and which promote their wellbeing. We are committed to working in partnership with Welsh Government to look again at the Grant to see how to best deliver to recipients. “Situations such as these arise when UK Government responsibilities are devolved without the requisite funding to implement the same scheme as has been operating. As a result, residents often have the same expectations but without the same level of funding as before.